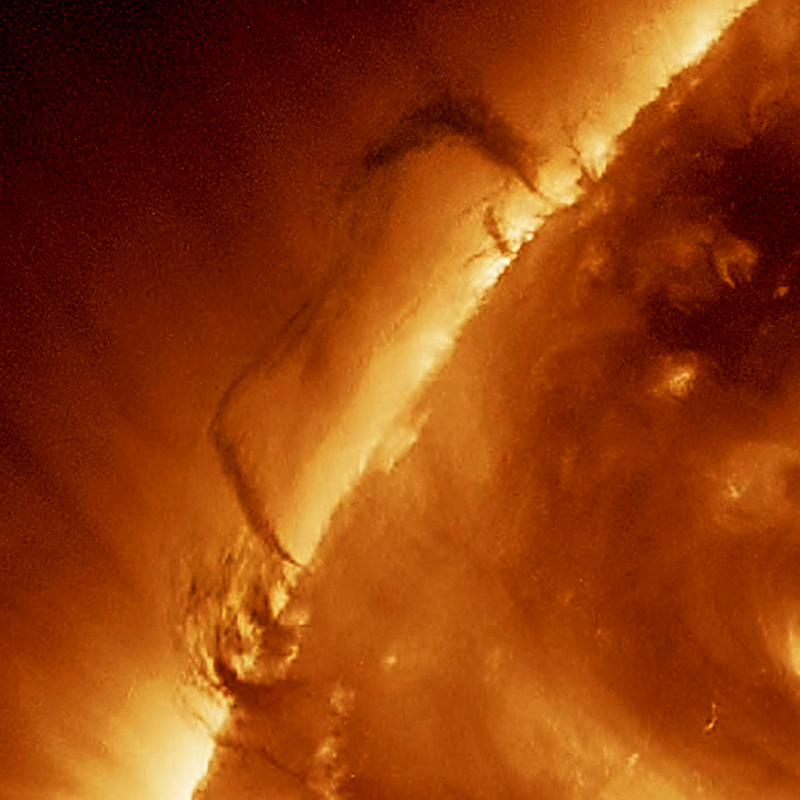 NASA’s Solar Dynamics Observatory captured a video on March 27 – 28 showing two large areas of “dark” plasma on the Sun’s limb, twisting and spiraling in our star’s complex magnetic field. The southern region bears an uncanny resemblance to three figures swaying to some spooky, unheard music… a real “danse macabre” on the Sun! Unbelievable. Amazing that we can take what is happening on the sun and compress it into human terms.